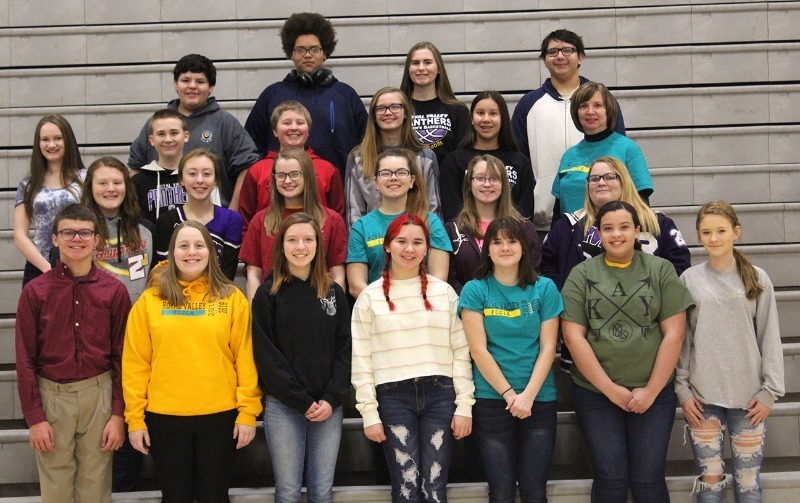 This is the Royal Valley High School FCCLA STAR Event for Alyssa Carlisle and Josslyn Coulter about digital citizenship. 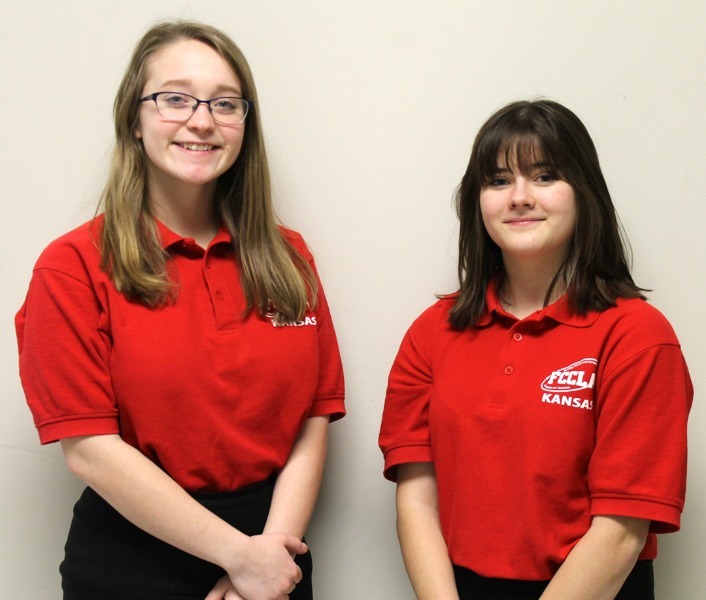 Janine Gustafson and Alyssa Carlisle ran for positions as District Vice Presidents in FCCLA. After the lengthy process of constructing and giving a three-minute speech, they took a test on basic FCCLA facts, and answered two interview questions in front of all the voting delegates. The delegates were two students from each school. Janine and Alyssa have been elected! Janine was elected to assume the position as the VP of STAR Events, and Alyssa, the position of the VP of Technology. 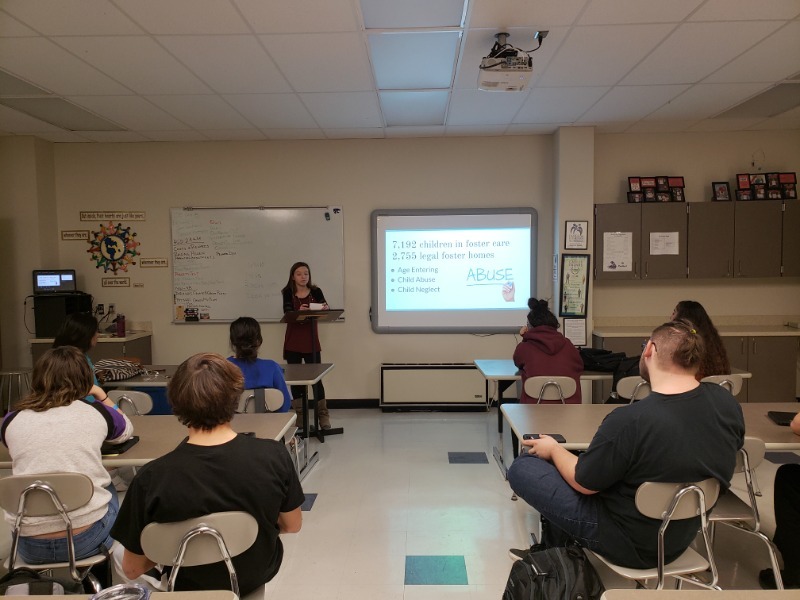 As the Vice President of Technology, Alyssa is the individual who will create the power points of which a speaker will stand in front of during an event. Alyssa said, "I am just really excited because I never imagined myself doing something like this and stepping out of my comfort zone." 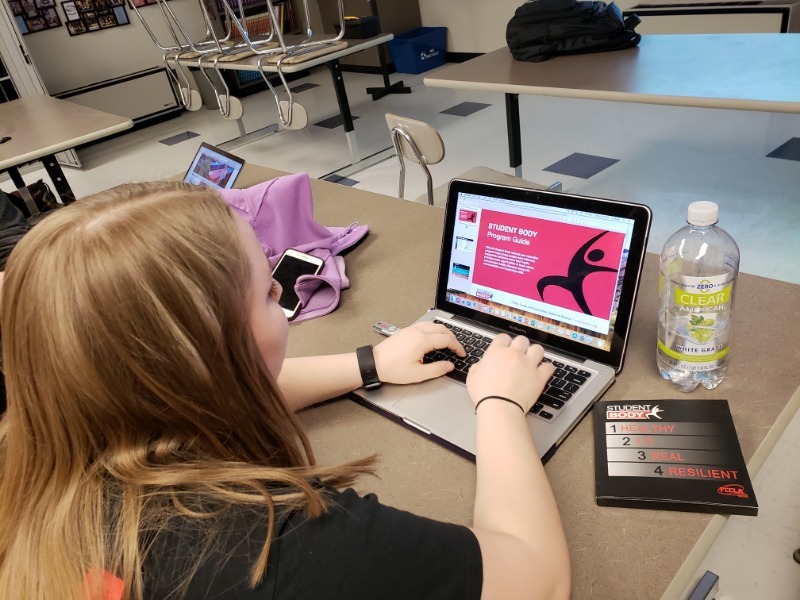 The Vice President of STAR Events encourages individuals to compete and is in charge of scheduling events, making certificates, and printing rating sheets. Janine wrote in an email, "I am very excited to be part of the district officer team." After much time spent waiting for the approval of her grant, Janine Gustafson is now putting her plan into action. 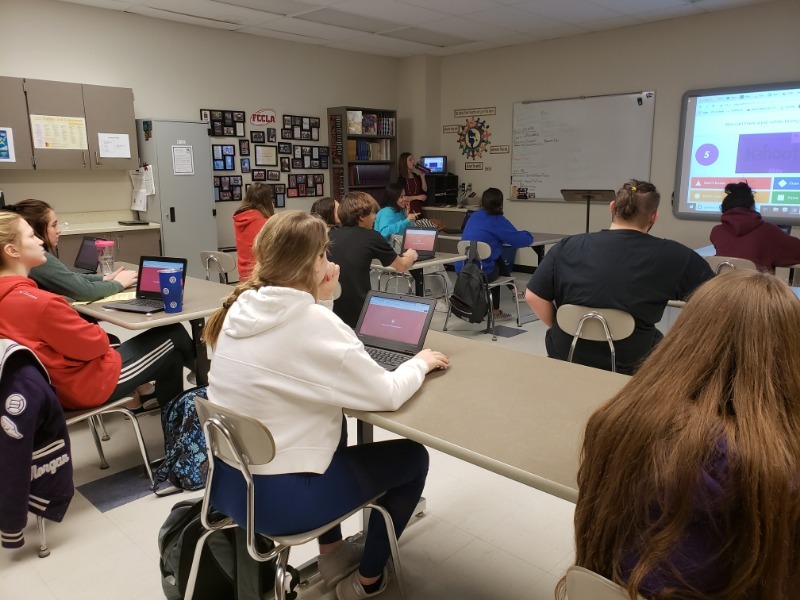 After purchasing Fitbits with funds from a grant, Janine and Lindsey Bowden have been putting their activity trackers to good use, teaching lessons in Mrs. Litherland's nutrition and wellness class over S.M.A.R.T. goals, sleep, water, and calories. Gustafson said, "We will look at the base-line data and each student will pick a main goal to improve. It can be steps, distance, calories burned, active minutes, or sleep. Over the course of a month, we will see how they improved after learning the lessons. We will show your physical health can effect your mental health." 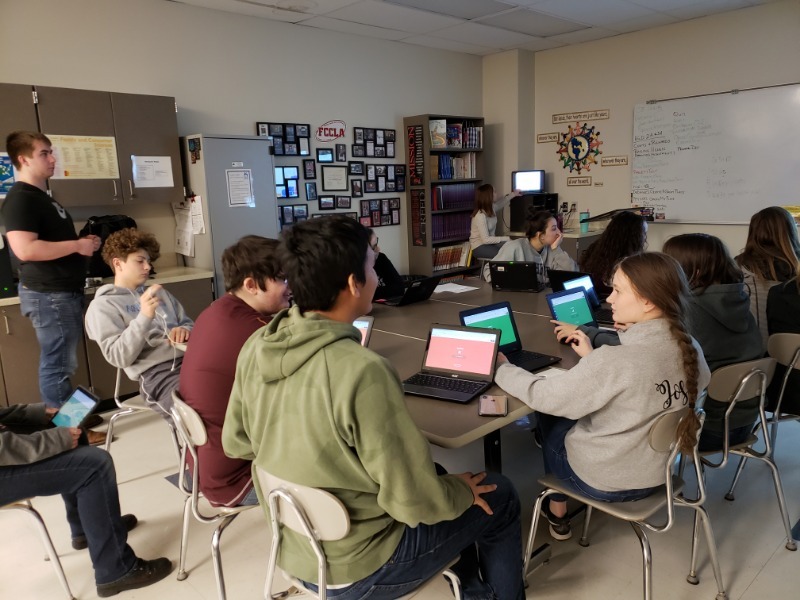 After collecting their data, they will then us it in their FCCLA STAR Event this spring. 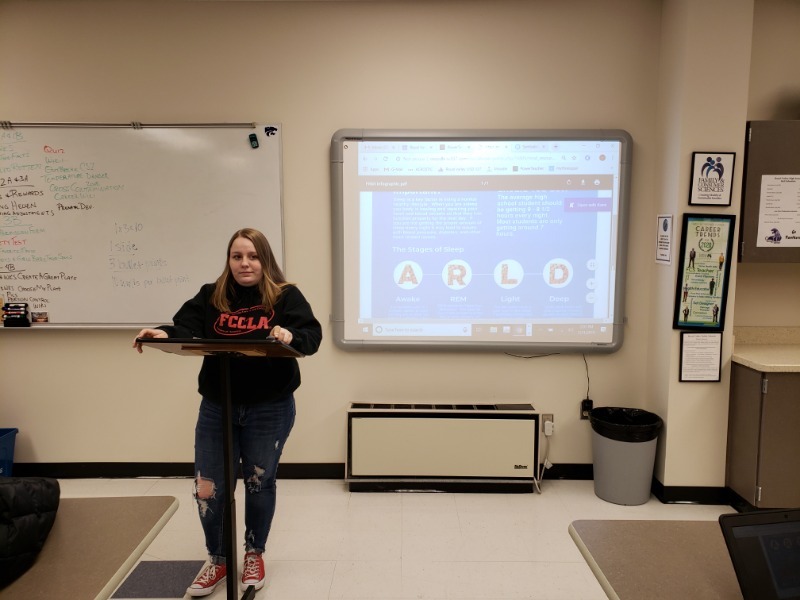 In preparation for her FCCLA STAR Event taking place on Wednesday, February 6th, Kaylee Klem-Andrews has spent her past week in Mrs. Litherland's room, presenting her thoughts on foster care to the classes of Royal Valley High School. 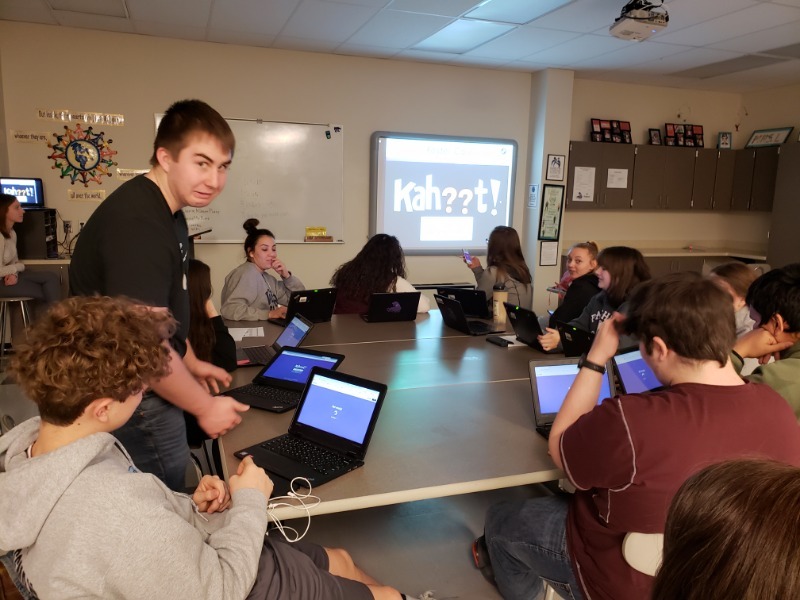 She prepared a Kahoot to get the audience involved and is planning further projects involving her topic for a later date. It was also mentioned that the FCCLA will be putting together necessity bags for the KVC of Topeka Kansas. Kaylee said, "I want to make a positive change in the lives of children that feel that they have no voice. My goal is to be the voice of the children that are being silenced and to inform people about the foster care system in hope that they will foster or adopt, and hopefully they will advocate about the foster care system."